We’ve used fire in the past, as a symbolic cleansing of the year gone by, and also as a welcome to the year ahead. A good fire also provides entertainment, along with the possibility of excitement. MMX. Don’t worry, the excited-looking man in the foreground had no hair to begin with! Time flies whether you’re having fun or not but, for a frog, time’s fun when you’re having flies. And never forget that, while time flies like an arrow, fruit flies like a banana. The subject of time attracts hyperbole, as when things take “forever” or when someone is “always” doing something, which you and I both know is impossible (reflexive, unconscious activities like breathing excluded). I spent more hours fishing this year than in any of the past several, which is interesting, having spent those years living less than 200 feet from a lovely lake stocked with trout. No matter how much I did or did not fish, I could never have spent as much time fishing as the legends suggest (all of it), especially considering how much time some tellers of tales spent on the same lake themselves (hardly any). Don’t worry — it’s been a very long time since Quill Gordon was neatly trimmed so this post is not about that. 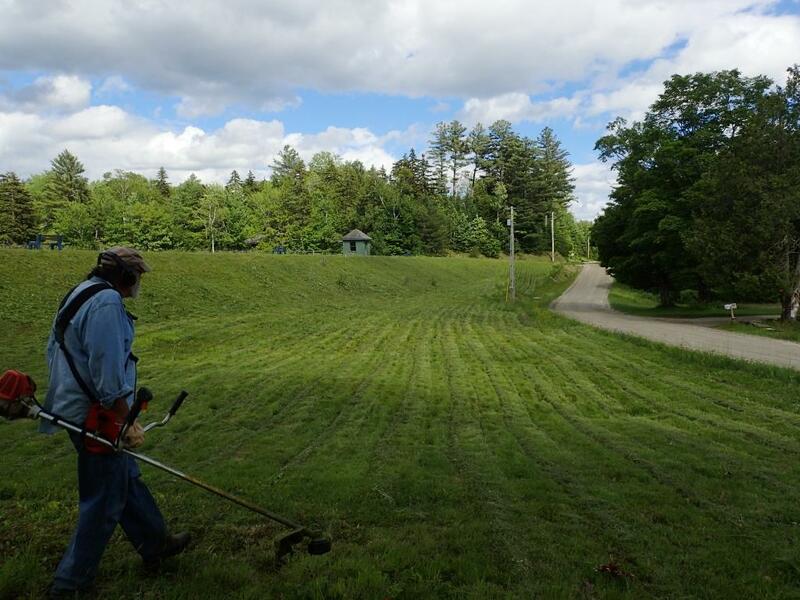 This post is about cutting the vegetation on an old earthen dam, something that must be done at least twice a year to inspect the embankment for animal burrows or changes that might go un-noticed if hidden beneath vigorously growing grass and pretty flowers. 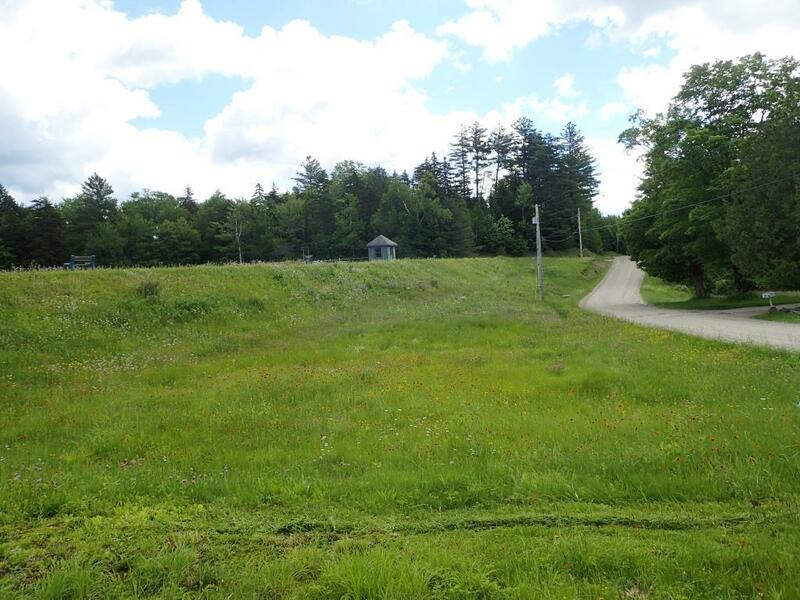 There is always an outcry from certain quarters when the wildflowers get cut but the rule is that the person operating the machine gets to decide what stays and what goes. I’ve even offered to help get them geared-up but, so far, not a single 80 year old woman in a floppy hat has taken me up on it. For some, work is a spectator sport and some folks can watch it all day. I appreciate that not everyone has that much leisure time to spend watching someone else work so, with the aid of my trusty tripod, several hours of work has been compressed to less than two minutes for your enjoyment. There are a some breaks in the action, though, for things other than refueling or getting a drink of water. The first one, early on, comes as a very nice man shares an important tip about using charcoal grills, having to do with the way Pyrex glass baking dishes can explode over such intense heat. The second passes quickly and is not easy to catch from a distance so I’ll zoom in on a couple of frames and explain. As grandchildren will sometimes do, this man’s had “accidentally” gone swimming, fully clothed, and now he needed a dryer. Not the clothesline on the porch of his camp, a dryer. Of course, I was happy to oblige. In other words, just another typical day at Fish in a Barrel Pond. Yep, that darn Quill Gordon, fishing all the time. Some people can’t help but titter when they hear it or say it themselves, expressing child-like delight at making something so cute and delicate sound so nasty. 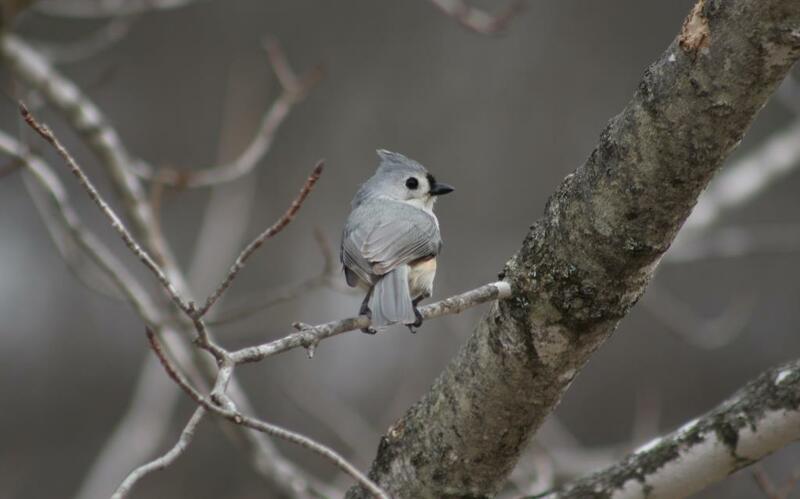 A single Titmouse shows up at the feeders once or twice a season, events so few and far between as to be worth noting on the calendar. The other day they appeared in droves. Well, maybe not droves. Probably not even a full drove, if you get right down to it, but the definition of drove is decidedly ambiguous so who’s to know? The point is, there was a dozen of them, which may not seem like many, but they were menacing. 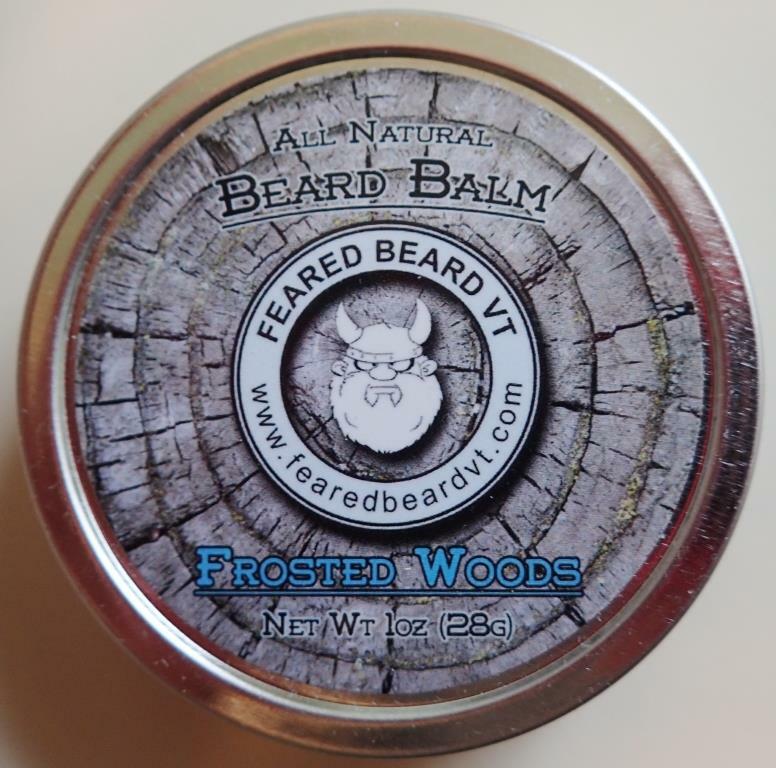 It had only been an hour since I published my post about beard balm, where I wrote that the birds would have to wait if they wanted my winter whiskers for nesting material. The Titmouses came closer and closer and I began to think that maybe they didn’t want to wait, but how could they have known? For the first time in I don’t know how many years, I’m still wearing my winter beard half-way into April. It is usually so beat up, brittle and tired by the time spring arrives that I just hack it off and hang it in a tree so birds can use it in their nests, but not this year. My feathered friends will have to wait a while (maybe longer) until I am done with my beard. Yes, it’s kind of grown on me and no, I didn’t lose my clam shell, but my beard is near the top of the list of things that get me through winter and now I’ve found a way to get my beard through winter, too, thanks to Feared Beard VT.
Before anyone goes off the rails and starts in about doing a product review or questions my qualifications to write about grooming, I’ve done reviews here before (a list of them, and a disclaimer for this one can be found below) and this is me after all, so the term “grooming,” is used rather loosely. In addition, there is nothing ironic about my boots, my flannel, or my beard so don’t be thinking I’ve gone all hipster or something. 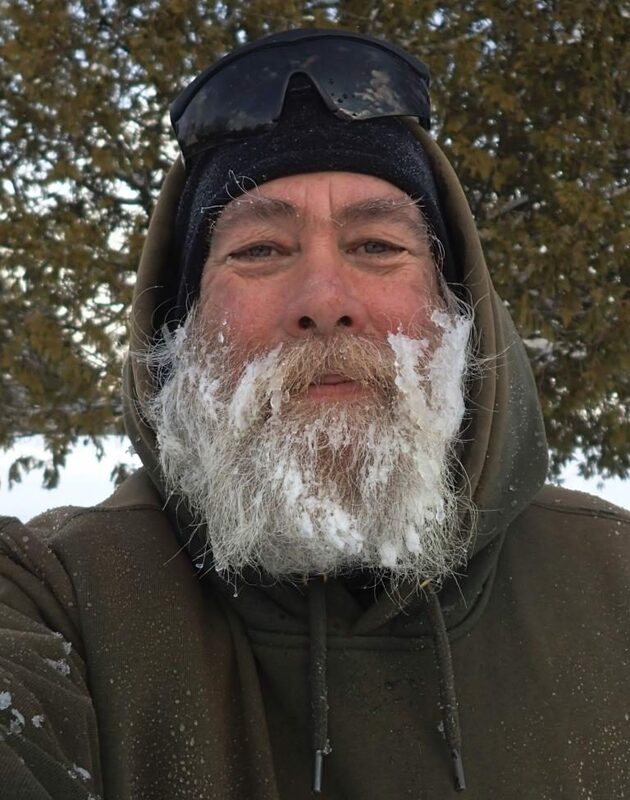 A trip around the lake on snowshoes (or six trips up and down the driveway behind the snowblower) can leave my beard full of ice, frost and frozen who-knows-what. 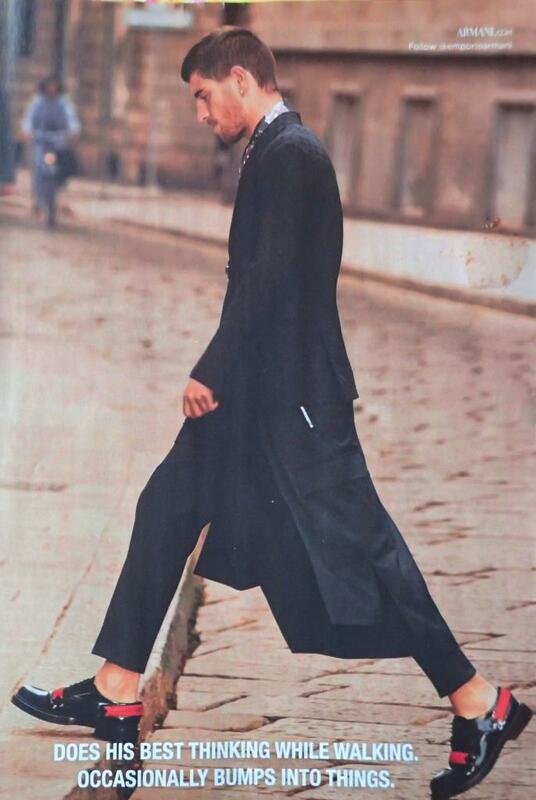 I have yet to find any source recommending that sort of thing for any kind of hair. No silly scarves for me to keep my face warm, no sir, but all that freezing does take a toll. Then, after the worst of winter is done and it looks like spring might be right around the corner, it’s time to make syrup so I spend hours and hours tending the arch, opening hot cast-iron doors and putting my face close to a roaring, searing fire — something else you won’t find on a hair care “do” list. You won’t find it specifically on a hair care “don’t” list, either, but not just because sugar house stokers are an under-served demographic. The smell of burnt hair is thankfully rare but going to the edge of combustion on a regular basis is as bad for it as being frozen. All that extreme heat and serious cold, along with the naturally unruly behavior of long whiskers, adds up to a beard in need of serious help and I think you can understand why I am sometimes anxious to whip out the old clam shell as soon as spring arrives. We at The View from Fish in a Barrel Pond are not above tooting our own horn, especially when it comes to spotting important fly fishing trends, six years in advance. It may take longer for folks to recognize the genius of the Portable Long-Range Angler Management and Training System™ or the practicality of concepts like Gordon’s Getaway Club® (“for anglers who expect less from Nature”™) but we saw this Tenkara thing coming a long time ago. 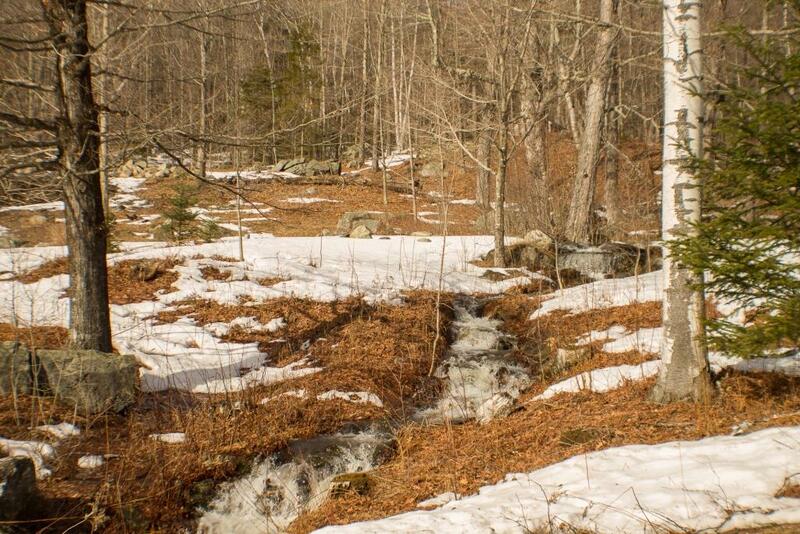 Stalking wild brook trout in Vermont’s small streams is a delightful way to spend time on (and in) the water. Stealth and a delicate presentation are essential to success. Tight quarters and tiny pools add to the challenge, but there is no denying the beauty of native brookies or the pleasure of a few hours spent following a small, shady stream as it winds beneath a leafy green canopy on a warm summer day. For some, Tenkara provides a perfect set of fishing techniques and equipment to meet these circumstances. 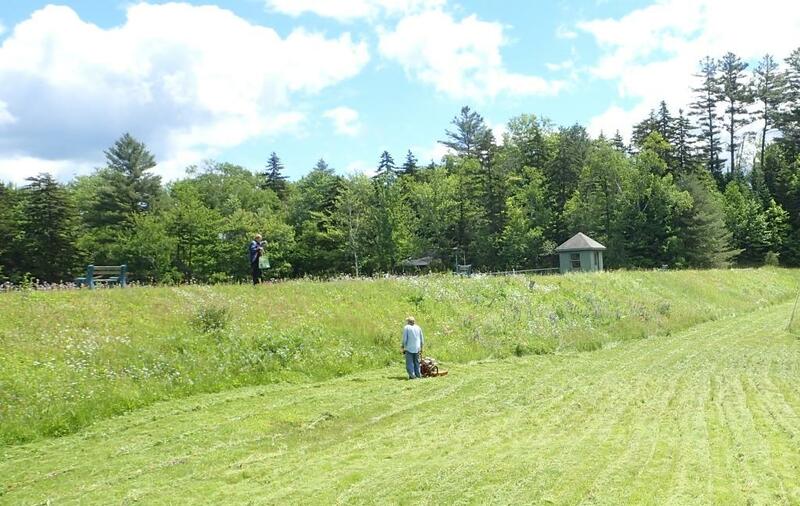 And now, a little more than six years after we first wrote about it in these pages, Tenkara in Vermont has finally gone mainstream, if mainstream can be defined as being featured on Vermont Public Television’s long-running series, “Outdoor Journal”. The segment below, recently posted on their You Tube page, follows host Lawrence Pyne as he fishes with angler and guide Bill Whitehair, using Tenkara rods to catch lovely little fish on a lovely little stretch of a lovely little stream. The folks at Tenkara USA should be pleased. The folks at The View from Fish in a Barrel Pond are pleased for them, I can tell you that much, especially after the fuss in their forum when we first wrote about Tenkara six years ago(!). Confusion was also reflected in a forum on a Tenkara site in Russia but the translation was poor, I have lost the link and, given the current political climate, I hesitate to search for things ending in “.ru”. 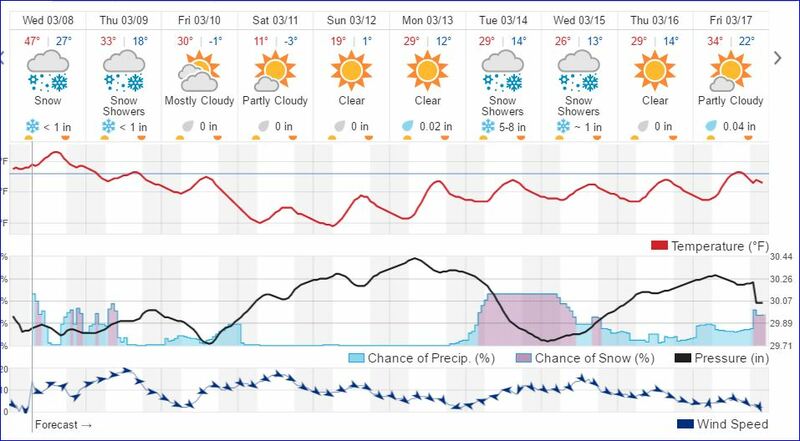 Last week’s cold snap was forecast to end on Monday, maybe, but it didn’t happen. Tuesday, maybe, was a possibility but became a definite not. 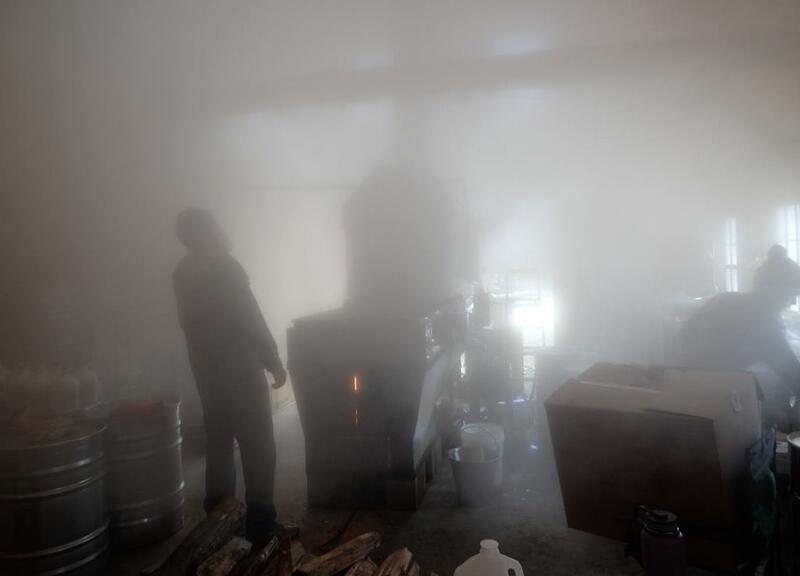 On Wednesday, however, the temperature climbed enough for the sap to run again, the tank filled, and the arch was fired up one more time at Bobo’s (boil #8). The stuff in the front pan, left behind from the last batch to “sweeten” the next, had frozen to slush due to its high sugar content, but the weaker stuff in the back pan was decidedly more solid and, according to the forecast, it’s going to happen again. The recent record-setting warm spell could not possibly last. It is March and this is Vermont, after all. 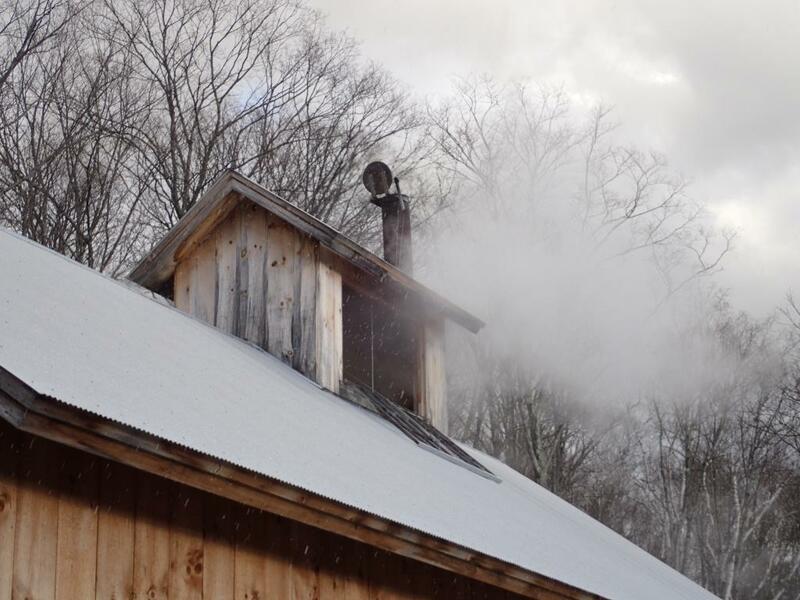 Sap was still trickling down the hill as last evening’s boil ended at Bobo’s Mountain Sugar and, while the collection tank didn’t fill all the way, it had enough sap in it this morning to justify firing up the arch again. Another justification for processing a not full tank is the fact that temperatures are predicted to drop to well below 0°F over the next few days. Anyone who has ever dealt with a thousand gallons of solidly frozen sap knows how that can slow down an operation. Everyone else can probably imagine. 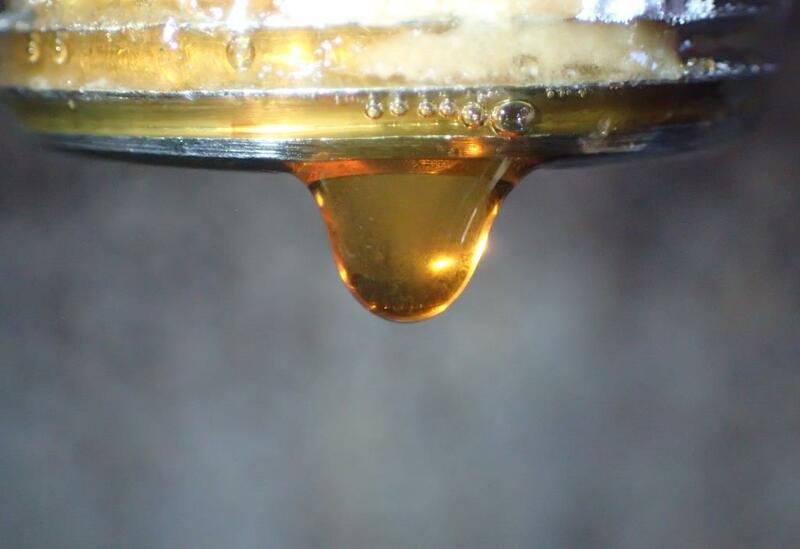 As dependent on weather as sap runs are, boiling that sap into syrup can be affected, too. 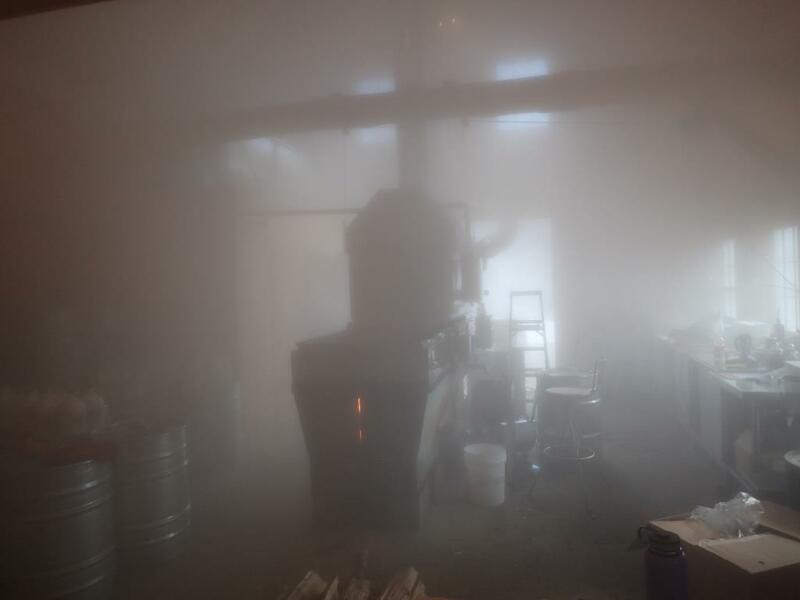 Barometric pressure has an effect on the boiling point of liquids and wind gusts to 50 mph have a strange way of preventing steam from leaving the building. Even with doors open. 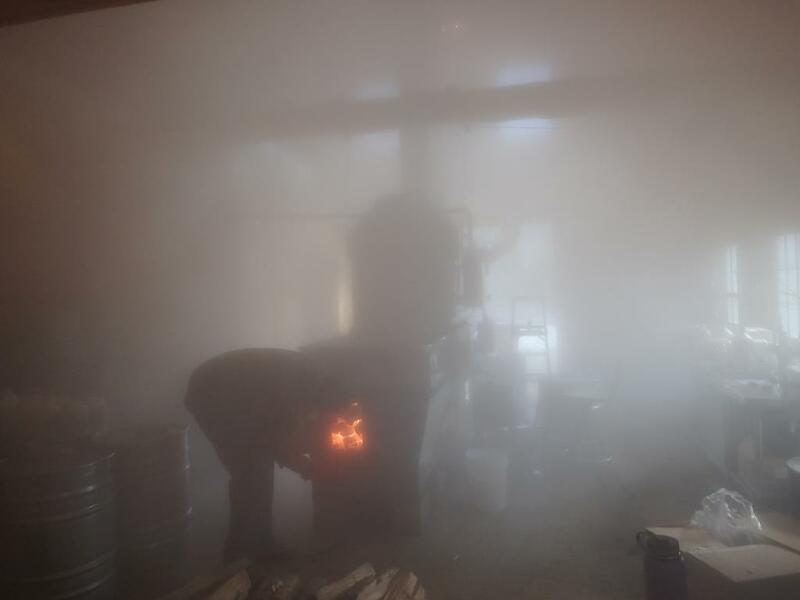 It didn’t help that the outside air that did get in was cold and getting colder, and that it, too, turned to fog when it met the warm air rising from the arch. Sitting down once in a while is allowed. The edge of a cold metal barrel is not really a comfortable seat but it will do. Lest readers get the impression I sit a lot, I don’t. Sometimes I stand and stare at the ceiling. Looking up, at the steam coming down. 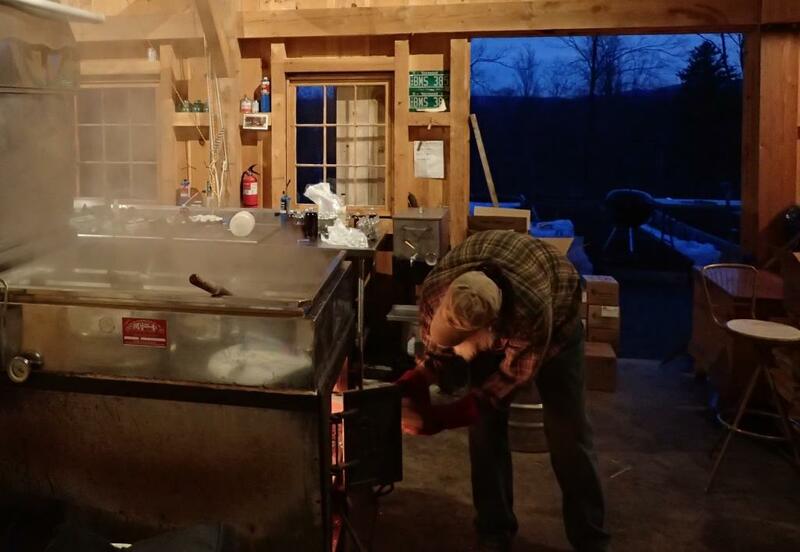 Mostly, my role in Bobo’s sugarhouse is stoking the fire and drinking beer acting as a role model for children. Mostly, it’s stoking the fire. The sap tank is empty, the arch is quiet and the plumbing is drained. 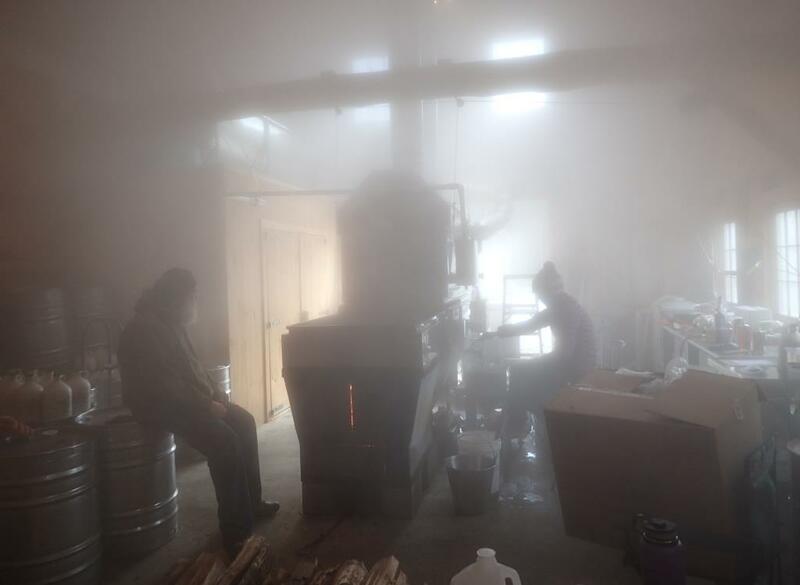 There won’t be another run of sweet sap until this bitter cold blast has moved through, maybe by Monday they say. It was freaky foggy in the sugarhouse today, but not constantly. The fog came and went, as you will see below. The four foggy photos above are part of a series, a series of 299 images which, when stitched together, form a time-lapse, boiling down two and half hours to thirty seconds. The big hairy guy even does a little dance. Snowshoes were appropriate footwear on Bobo’s Mountain last Tuesday as the last taps went in, racing against a warm-up that promised a run of sap (see “Something is Running and It’s not Me“). 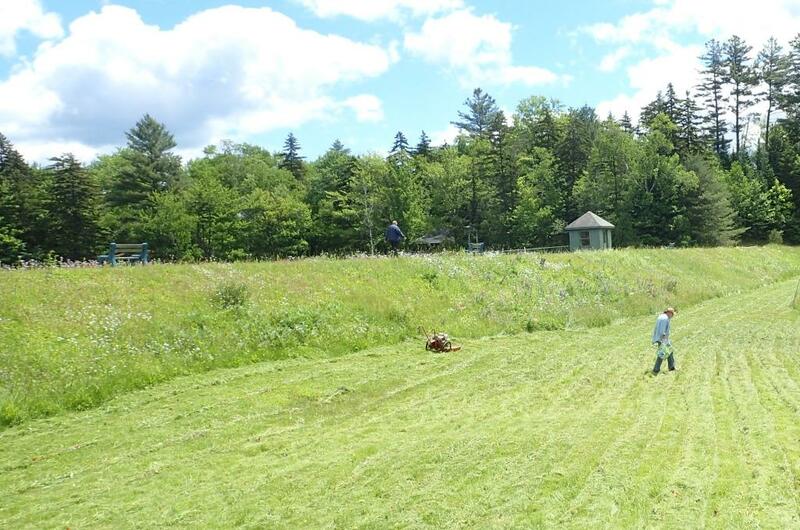 The race was won, the sap was caught, and by Friday children were seen running barefoot. Three feet of snow disappeared. Some simply sublimated but most of it melted, running noisily down the hill as runnels met rivulets and rills became brooks, braiding their way toward the river.